Heavy rains and high winds buffeting much of Italy have killed 10 people over two days, officials said Tuesday. 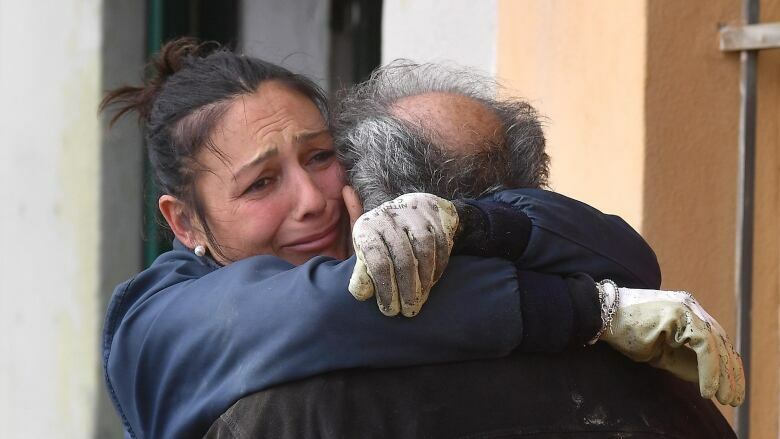 Many of the deaths were caused by falling trees crashing down on cars or passers-by, but they also included a woman buried by a landslide near Trento in northern Italy and a man who was slammed against rocks while windsurfing in Emilia-Romagna. The other fatalities occurred in Naples, Liguria and Lazio. High winds created an exceptional tide in Venice on Monday, covering three-quarters of the city for the first time in a decade. "It was the perfect storm during which adverse meteorological conditions contributed to the situation in the sea and winds," civil protection chief Angelo Borrelli said. 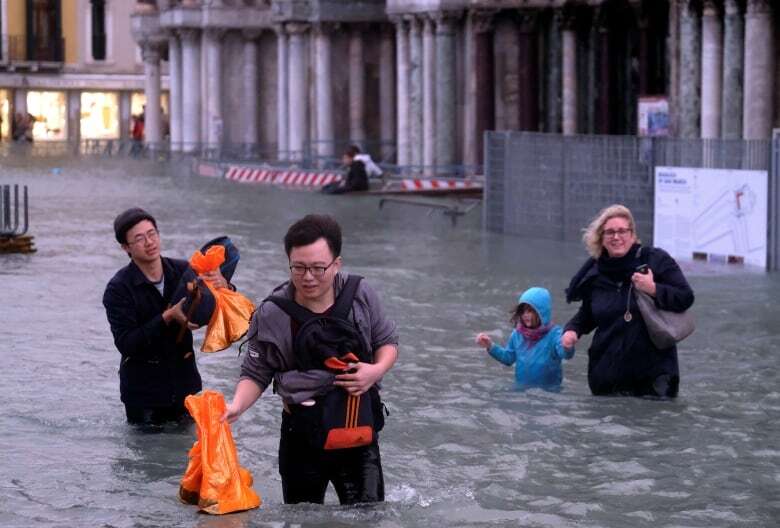 Venice frequently floods, but Monday's levels — which peaked at 156 centimetres — were the highest reached since December 2008, according to city statistics. Luigi Brugnaro, Venice's mayor, said a series of underwater barriers being erected in the lagoon would have prevented the inundation. The project, nicknamed Moses, is long overdue, beset by cost overruns and corruption scandals. The news agency ANSA reported damage to the mosaic floors inside Venice's famed St. Mark's Basilica, where waters reached 90 centimetres. The bronze metal doors and columns also suffered damage. Residents and businesses in Venice typically reinforce their doors with metal or wooden panels to prevent water from entering the bottom floors, but photos on social media showed shop owners using water pumps this time to try to protect their wares. Rains also flooded highways and caused a landslide that forced the temporary closure of the Brenner highway connecting Italy with Austria. The Adige River, which runs through Verona, rose by two metres but didn't overflow. In Rome, more than 100 trees were felled by high winds and ports reported damage from the storm, including to moored vessels. 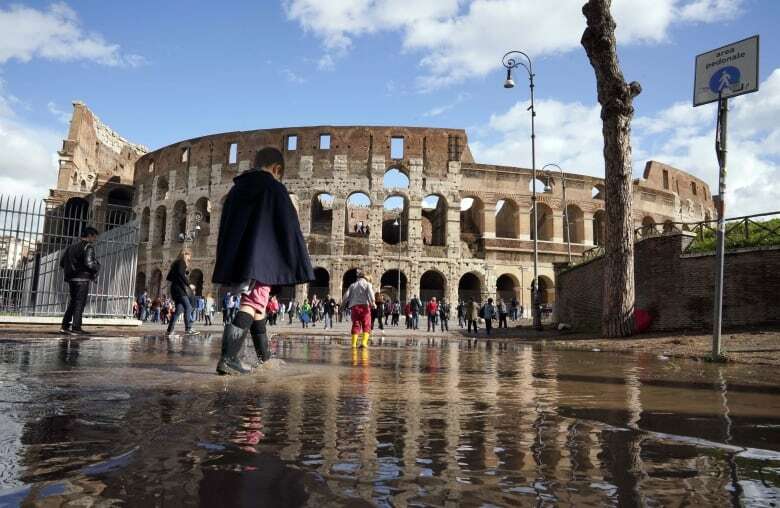 Officials closed several of the city's major tourist attractions, including the Colosseum and Roman Forum, early on Monday as a precaution. Nearly 6,000 firefighters were dispatched to remove debris from roadways across the country. Schools were closed in large areas of the country for two days as a precaution.